We stayed at Adrift Riverbase resort in Jinja Town Uganda for two nights as part of our tour through Eastern Uganda This was by far the best place we stayed at during our travels of Eastern Uganda. We stayed in one of their tents which had two single beds. The tent had a lamp, good space, was very clean and comfortable and had mosquito nets that fell all the way to the floor. We hadn't planned to stay - but having done the rafting & bungee jump. We stayed even though we had cases not a backpack & so were out of place!! 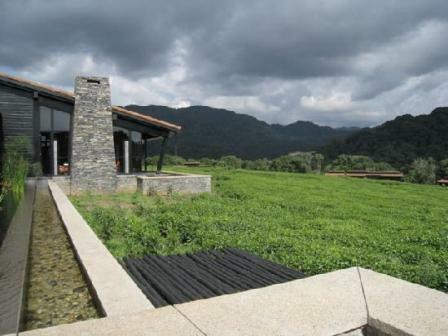 But the location was fabulous, the wildlife superb, the food good, the washrooms fabulous - incredible value for money.